In order to catch up for my Poem-a-Day for November, I need to write ten poems today. I plan to live blog the process, which won't begin until after my writing workshop ends around noon (left coast time). If you have any awesome poem prompts you'd like to share to save me the time of having to find some myself, I'd be super grateful. This photo is the feedback I'm working on for tomorrow morning's workshop. 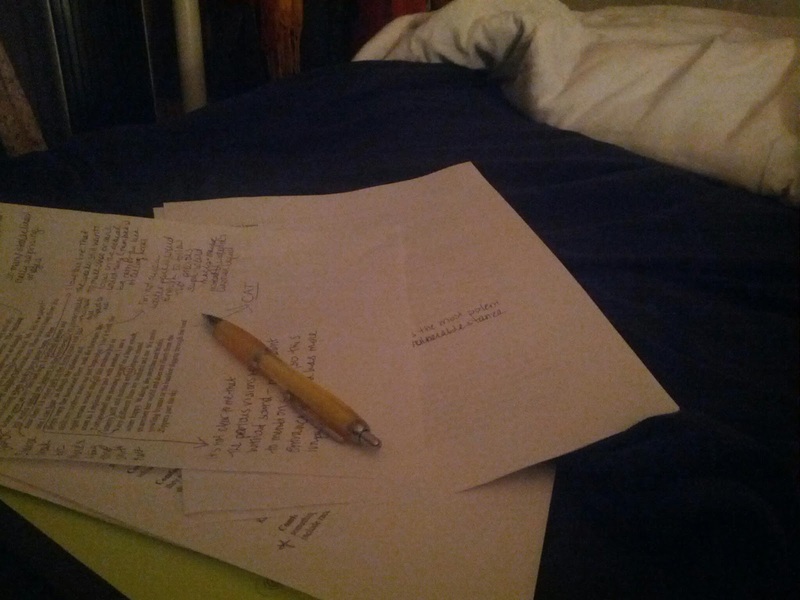 I will be tired while writing these poems. Even more fun. There is always the archive of prompts I wrote on my blog last year. If you are struggling, pop over to the Tow Truck Archive! Good luck - I gave up and decided to be happy with the 10 or so drafts I did complete.